When the upper and lower palate are misaligned to the point where the upper teeth close onto the wrong side of the lower teeth, it is labeled a cross bite. Many people with crooked teeth are too self-conscious to smile, but aesthetics are not the only issue at play. Crooked teeth can increase the chance of tooth decay, tooth damage, and TMD temporomandibular joint (TMJ) disorder. Toddlers with crooked teeth may have difficulty learning how to speak, and if they can’t chew meat and raw vegetables thoroughly, they may miss out on needed nutrients due to a limited diet. 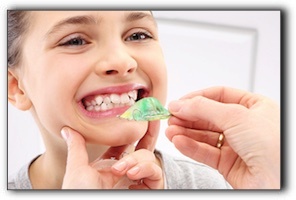 If you or your child has crooked teeth or a misaligned bite, we invite you to schedule a thorough examination straightaway. Use the form below to ask a question about When Wayward Teeth Take A Crooked Path and one of our expert team members will get back to you shortly.